NGC3628 is part of the Leo Trio along with M65 and M66. 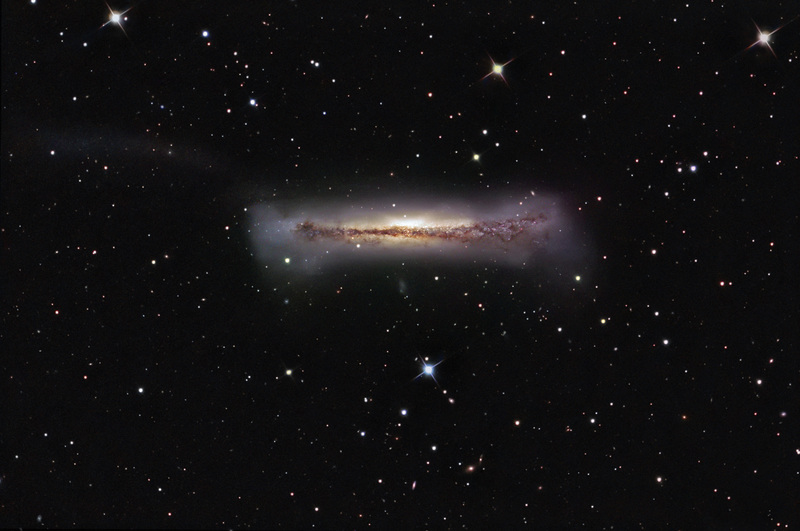 It is an edge-on distorted galaxy about 35 million light years distant. The distorted edges of the galaxy and the faint tidal tail extending away from the galaxy toward the left suggest gravitational interactions with the other galaxies in theTrio. It has an apparent magnitude of 9.5. The image is approx. 35 arcmin wide and north is up.